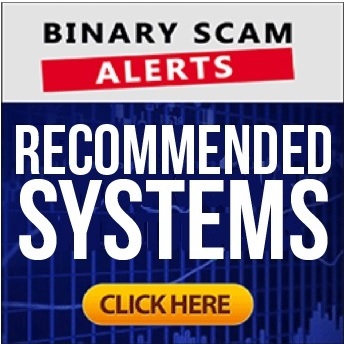 The Secret Millionaire Society is an old but very effective binary options scam, however it became antiquated and the original has been hacked and copied by less than virtuous affiliates. So the owners of this very slimy scam did what’s called a re-direct. This means everyone logging in to the domain name secretmillionairesociety.com will be directed to fastcash.biz – try it and see. Well, some of you are asking why would people do something like that? The answer is fairly simple for anyone dealing with online marketing. They just found a newer scam which is more believable and modern looking, however you don’t need to be a savvy affiliate to spot this, just follow the criteria as outlined in my 10 point free E-book, which you are most welcome to receive at no cost by simply telling us what you think and leaving a reply below this post. Now, there is another marketer who ripped off this video and created his own graphic design scheme, very much similar to the original. He is using it profusely, primarily for sponsored ads in premium media outlets which will allow dirty con artists like him to advertise freely at exorbitant rates. Personally I don’t blame them because they are also in it for the money, but if for some reason you browse a completely harmless lifestyle portal and suddenly find yourself looking at a quick make-money scheme then you know you’ve been targeted for binary options. I believe that should put an end to it, I thought I saw everything but this is really very abrupt and unsettling to say the least. People are being herded in by the thousands like cattle to view some deceptive piece of trash. It’s just a question of time before authorities crack down on this crowd of greedy marketers and brokers that are obviously willing participants because they need people registering for their service and actually buying in to what is potentially one of the biggest fraud industry today. This is because people are basically led to believe they are about to become millionaires under false pretenses. In reality, binary options with specific emphasis on the Market Maker model, is a form of financial betting very similar to gambling. In fact, many gamblers have made a transition to this area because they are feeding their need in a more socially acceptable way. Honestly, telling your wife you are took a put call is not the same as telling her you gambled $100 on the Roulette Table. OK, if you needed some more proof here it comes. Everyone in this video is a Fiverr Actor, and that is something which is very plain to see. There are two versions, in the original the presenter’s name is Brad Marshal, in the stolen copy its Quincy or “Q” as it seems. Moving forward, as Michael Freeman mentioned in Binary Options Watchdog it is a verified stinking scam, but he didn’t update the review so there is basically a reference to the old movie. The same oversight can be seen in onemorecupof-coffee.com, where Nathaniell failed to update his blog. To sum up, there is no group of millionaires that are so called market movers and influence the behavior of stocks. It’s interesting they chose the phrase puppeteers of the financial system, and say there is a “division” for binary options trading. The bottom line is that they don’t show you anything and it’s just a bunch of lies and a scam very much similar to the free money system and Walter Green AKA “Walter the Green Machine”.